Metaphor is a San Francisco area progressive rock band that used to be a Genesis cover band during the mid-1990s. 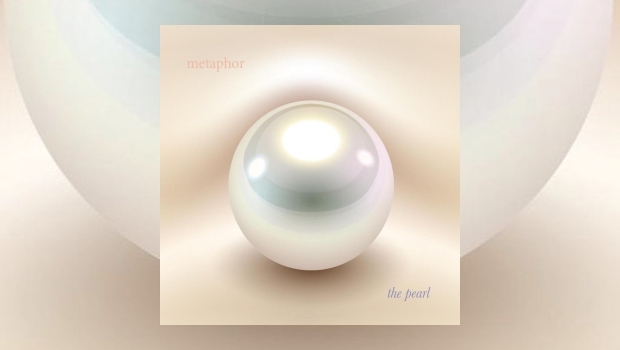 The fact that they covered Genesis, created an immediate interest and desire to listen to, and then review their latest album, The Pearl, released in January 2019. The Pearl is full of innovative music and experimental keyboards that will make any Genesis fan imagine Tony Banks out front. The band’s previous releases include Entertaining Thanatos (2004), Starfooted (2006) and The Sparrow (2007, and now in 2019 the band return with an excellent concept album full of great lyrics, a thoughtful story, and an interesting journey. First impressions include how closely the voice of John Mabry resembles Bay area legend Marty Balin, of the Jefferson Airplane. The vocal impressions are so close that I can definitely imagine Mabry covering several bands with his range. Phil Collins would be easy, but I would like to hear him cover some Gabriel-era Genesis. Next up, the dynamic keyboards of Marc Spooner, a keyboard wizard with each successive track providing innovative yet familiar sounds. As a keyboard fan, his work on this album is worth the price of admission alone. You can hear so much of Tony Banks in many of these tracks, but also Keith Emerson, and Martin Orford, formerly of IQ. The bass of Jim Anderson is out front and staged perfectly to provide powerful rhythm throughout this album. You can hear his presence and direction on many of the tracks, but especially The Mist of Forgetting, and opener The Open Road. On The Mist of Forgetting you can even hear some close resemblances to Chris Squire’s style. 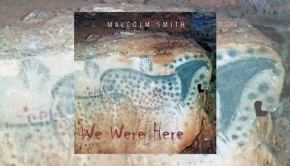 Malcolm Smith’s guitar–work is innovative, with some hints of Steve Hackett, but I hear more impressions from IQ’s Mike Holmes or even a Chris Squire/Steve Howe mix. Anyway, it is wonderful. Greg Miller, on drums, is not as strong a presence as, say, Phil Collins, but you can definitely hear him lay out the beat. The band’s music is softer and more attuned to keyboard or guitar beats than heavy drums. However, Miller is essential and keeps good pace during songs like The Love Letter and Robed In Glory. Every track on this album is so wonderfully different. It must be incredibly difficult to maintain uniqueness in a genre like prog, where so much experimentation has preceded your arrival. But Metaphor remain impossible to pigeonhole. Their sound is their own and there is no direct comparison I can make. That uniqueness made this album such a fantastic find, unlike anything I have heard in the last 10 years. Completely of its own and a new discovery I think you will enjoy hearing. On the beginning of Romancing The Wurm you can hear a little of what sounds like some of the opening of Styx’s Light Up, before the band dive into one of the deepest bass rumbles, that in turn sets the pace for one of the best keyboard and drum extravaganzas on the album. Elsewhere the flute work on The Eagle, The Voice And The Light will take you back to early Genesis. Robed In Glory, the epic closer, is full of over the top musicianship, with a closing that even includes the sounds of pipe organ, bringing a powerful climax to the album. One of the most unique albums and sounds I have heard in years. Get this album for the band’s spectacular and innovative spirit and stay to listen to the story told with brilliant musicianship and vocals that enhance the band’s extraordinary talent.